Thanks for a Fun 2017! I know we are already a few weeks in to January, but wanted to wish you all a Happy New Year! I'll be sending more information soon about booking and scheduling your 2018 sessions. What a fun 2017 it was with lots of faces old and new! Thanks so much for your loyalty to Honeybee & Peony OR for trying me out for the first time in 2017. It was a pleasure to spend time with you and your children. This is one of my favorite things to do at the end of the year. 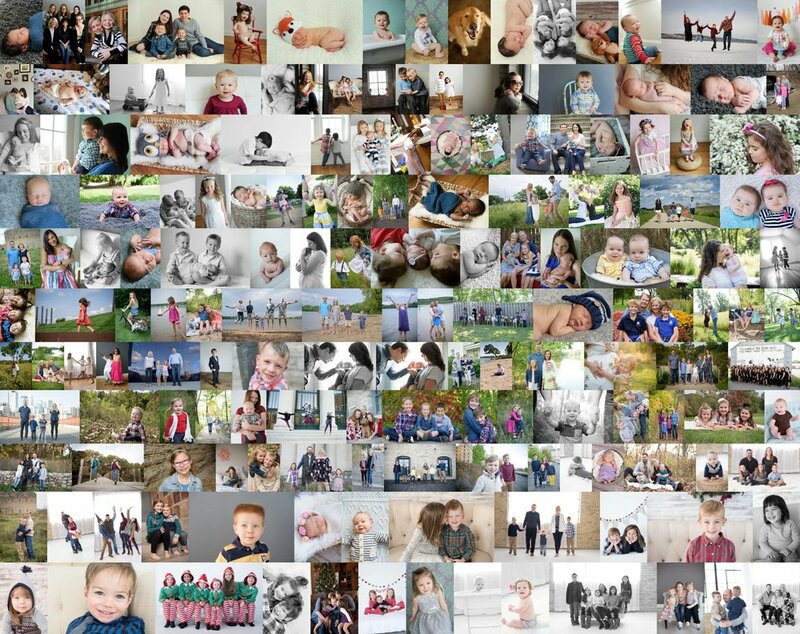 It's so fun to look back at all of your photo sessions and pick my personal fave from your session to add to this collage. Can you find yourself?